Your kid deserves to look as stylish as his parents. From toddler clothes to clothes for school age kids, your little one can embrace colourful pieces that don’t sacrifice comfort. With Nautica’s collection of boys clothing, he’ll be eager to get dressed in style. From boys t shirts to boys button up shirts, Nautica will have your little one looking trendy all year round. 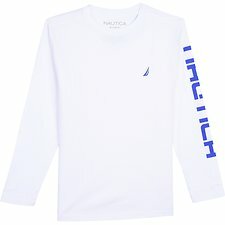 Nautica’s sophisticated coastal style has been downsized and replicated with their kids clothes range. Shirts for boys are perfect for keeping them comfortable in summer. Dress them in a boys polo shirt for easy smart style or throw on a boys t shirt for everyday wearability. For the best boys shirts and fashion, discover kids clothes with an edge. 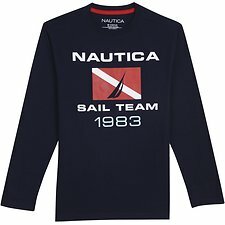 Shop Nautica’s collection of boys clothes online today!